The OISTAT Theatre Architecture Competition is an international ideas competition, aimed at students and emerging practitioners, which is organised every four years by the Architecture Commission of OISTAT (International Organisation of Scenographers, Technicians and Theatre Architects). The next competition will be generously supported by and exhibited at the Stage, Set, Scenery conference and exhibition organised by the DTHG (German OISTAT Centre) in Berlin from 9-11 June 2015. Selected entries will be exhibited and cash prizes awarded. The theme for the competition will be the design of a floating theatre to be moored at a particular location on the river Spree in Berlin, Germany, but capable of being moved to other sites on the river. The floating theatre will provide a performance space for an audience of 200-300 people and backstage accommodation for a cast of no more than 20 performers. 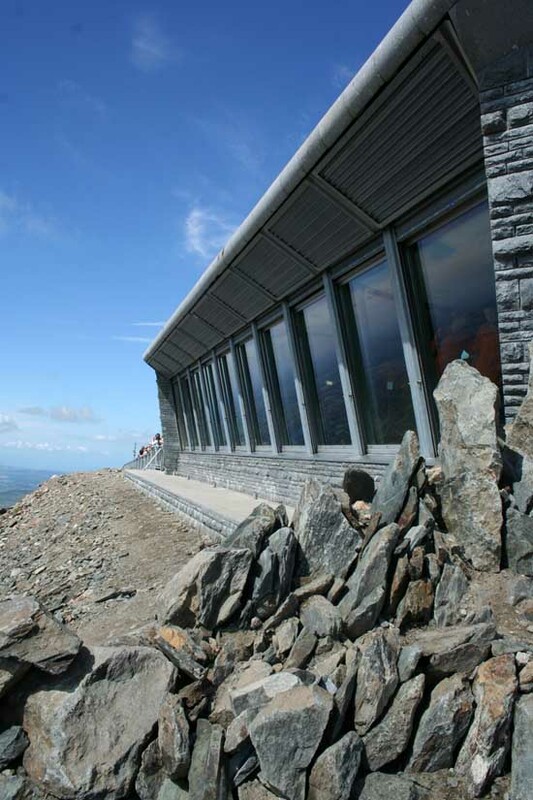 Facilities for the audience, such as foyer space, toilets and refreshment areas will be located on the land and will be temporary and easily moved to another location, when required. There is increasing interest amongst theatre practitioners in the use of temporary site specific locations to present particular productions. These settings can often provide a unique atmosphere, which resonates with a particular production or style of presentation, in a way which may not be possible in a conventional theatre. These are the themes to be explored in this competition. 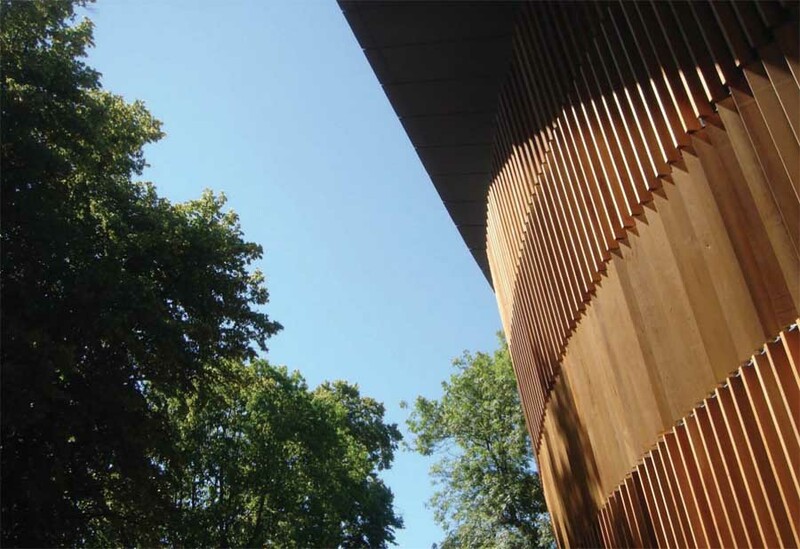 The site for the competition is on the northeast bank of the river Spree in Berlin in an area known as the ʻHolzmarktʼ or ʻwood marketʼ. This is therefore an ʻalternativeʼ kind of place in a state of transition. The Holzmarkt is the center of the neighbourhood – physically and spiritually, the market, the creative village, the club and the restaurant invite, surprise, inspire and entertain. Artists, artisans, musicians and hedonists create with and for each other. A 3D CAD model of the area will also be made available shortly. 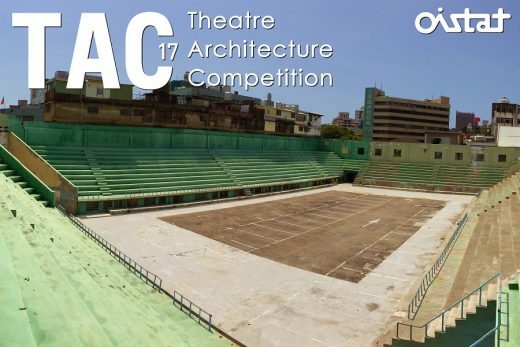 Themed “Theatre as Public Space”, TAC 2017 opens for submission from February 17 to March 17, 2017. The site will be in Public Activity Center, a disused sports stadium in Hsinchu City, Taiwan.